Anna University revaluation is an another chances for a students of anna university .There are two case to apply for the revaluation one is if they failed and other is got low grade ,so students please apply if you get an unexpected(negative) results by coe1. 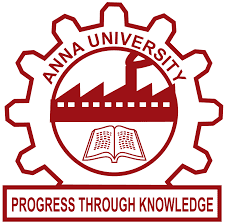 There are many Affiliated Engineering college of anna university all of them should aware of the revaluation and students you should also aware of this procedure to score a good grade.Here our site is ready to help you just leave a comment and you will get instant guide from our team.If you still in a confusion path in the revaluation we surely help about that queries. Finally apply for the revaluation worth of 400/- and you are all set. Students login of Coe1 is the most used authenticate portal of the anna university of nov-dec 2018 and there are other two portal available to check the results coe2 annauniv edu adn aucoe annauniv edu.This aucoe is the portal to get result without the use of Date of Birth.Students recommend to use student login part in the website to get results other login part is for college login.For the Students login you need to know about the register number and dob of the particular person to get the results. For more details about the coe1 students login check this link for Anna University Updates 2018 and there are other related sites to check the results. For your kind information this revaluation procedures leads you to pay a certain amount of money to reevaluate to avoid this kind of obstacles.Students please concentrate on your presentation in the Anna university examination it's an fact that most of the unexpected(negative) result is due to the poor presentation.When students open the portal coe1 or aucoe annauniv edu they get shocked about the results and the presentation is not your handwriting its the way to impress the faculty.